I’ve worked in this office since day one in 1989. That was 25 years ago! While I took some time off to go back to school, I’m so happy to be back! I do everything I can to help our office run as smoothly as possible, whether I’m contacting insurance companies, supervising the office, or presenting treatment plans. I continuously educate myself on proper insurance coding revisions and try to get insurance companies to give all the benefits our patients deserve. I love the relationships I’ve built over the years all the hugs and laughs we all share. I love my co-workers; they are amazing at what they do and are all special individuals. It’s like a big family here with our co-workers and all of our many patients! I’ve been married for 24 years to my husband, Jay. We have three wonderful children and I am a proud foster mother as well. We love children and believe that every child deserves a loving home. As the first person to answer the phone or see patients when they come into the office, I am our ambassador to all of our patients. I am responsible for scheduling, coordinate appointments, account information, continuing care, and verification of dental benefits. I keep my energy going all day long as I go the distance for all of our patients. Whatever they need, I make sure it gets done! Originally from Chicago, IL, I have lived in Arizona for 22 years. I love coming to work everyday because I love the people I work with and love helping patients create beautiful smiles! 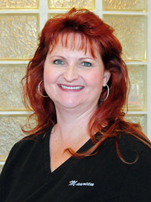 I have been a proud member of the Picasso Dental team since 1990 when I started as a dental assistant to Dr. Anthony. After returning to college and earning a degree as a Registered Dental Hygienist, I now provide cleanings, patient education, and periodontal maintenance to help improve our patients’ dental health. I have been fortunate to be in the presence of doctors who strive for the highest care and continually attend conferences, seminars, and study groups to learn the latest dental techniques. They are all caring and meticulous, and I feel lucky to be a member of this team. When not practicing dental hygiene I enjoy spending time with my husband, Tom, and my three children. I am currently attending Northern Arizona University online to continue my learning as well. When I have time, I enjoy running, and reading. I provide my patients with everything they need to keep their mouth and teeth clean and healthy, from general exams and hygiene therapy to home care education. The friendships I’ve made with my patients and the trust they’ve placed in me mean so much. It’s very fulfilling knowing that I’m helping to give them a healthier, longer life. I've been married to my husband, Scott, for five years. I have four boys and one beautiful girl from a previous marriage and so does Scott. That makes 10 total!. Most of our children are grown, but we do have two awesome dogs that enjoy taking us for walks. My husband and I enjoy traveling, reading, and are very busy serving in our church. 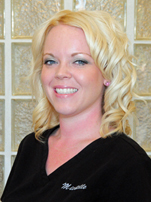 I began my career in dentistry as an assistant in 2007 and continued my education to become a dental hygienist in 2012. 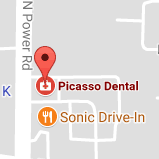 Shortly thereafter, I joined the Picasso Dental team! It is my goal to improve my patients’ oral health and educate them on the importance of oral health as it relates to the rest of their body. I truly care about my patients’ health and happiness, and feel fortunate to be a part of such a wonderful, supportive team. I’ve been married for five years and have two lovely daughters and another on the way! My husband and I love traveling and attending all kinds of sporting events. I perform all aspects of three-handed dental assisting. I am empathetic to our patients' needs and strive to educate patients on the best ways to keep their oral health for life. I enjoy the relationships I have built over the 14 years here and truly feel fortunate working with such excellent dentists. I am happily married with two children and two grand children. In my free time I enjoy camping, yard work, and spening time with my dog outside. 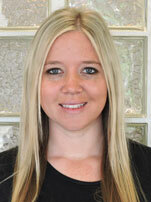 Even as a child, Alexandra always loved going to the dentist, so a career in dentistry was the perfect fit! She graduated from Carrington College in 2011 and has been assisting our doctors during treatments and procedures since 2017. 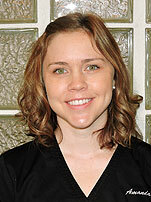 Alexandra’s favorite thing about her work is helping to achieve patients’ beautiful smile. Working with Drs. Anthony and Smith, as well as our team, brings her so much joy, and she is grateful to call Family Dental Studio her home! Alexandra has two wonderful parents, two brothers, and an amazing boyfriend, as well as a baby on the way! She loves football — especially the San Francisco 49ers — playing softball, and hiking. 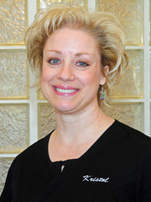 I love helping our patients feel better about their smile and attain excellent oral health. 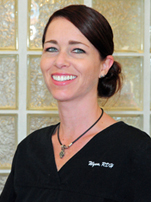 I joined Picasso Dental in 2015 but have more than 15 years of experience as a dental assistant. Here, I have the opportunity to work with some of the greatest doctors in the valley. They are great with patients, so knowledgeable, and do beautiful work. Ours is a close-knit team of professionals who all love working together to help others. I spend most of my free time with my husband and our two small children. My hobbies include reading, hiking, gardening, and watching sports and movies. I've had the pleasure of working with the Picasso Dental team since 2013. As a Dental Assistant, I work chairside with the doctors doing anything I can do help make patients' dental experience better. I'm energetic and always smiling, and love being part of the team - you may even see me jump behind the front desk to help out now and then! I'm fluent in Spanish, and love catching up with our Spanish-speaking patients when they come in for appointments. Outside of the office, I love to travel, shop, and spend time with my friends and family.